Patty and I were going to drive to Asheville, NC this weekend because we both have Monday off. Its an 8 hour drive from Cleveland . But, it just so happens Asheville got hit by a snow and ice storm and the whole city was shut down. We didn't want to waste the long weekend and we were convinced to make this a brewery weekend. 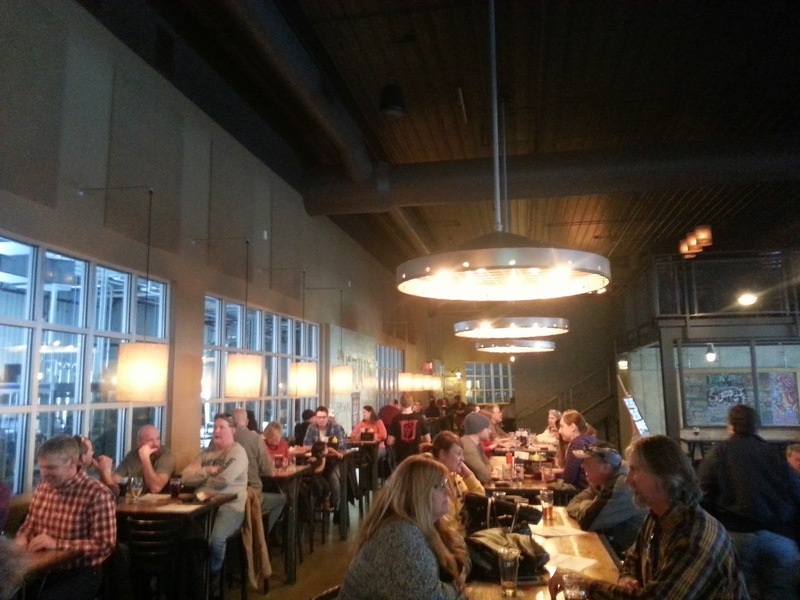 I posted two nights ago about going to Hoppin' Frog Brewery in Akron, Ohio on Friday. 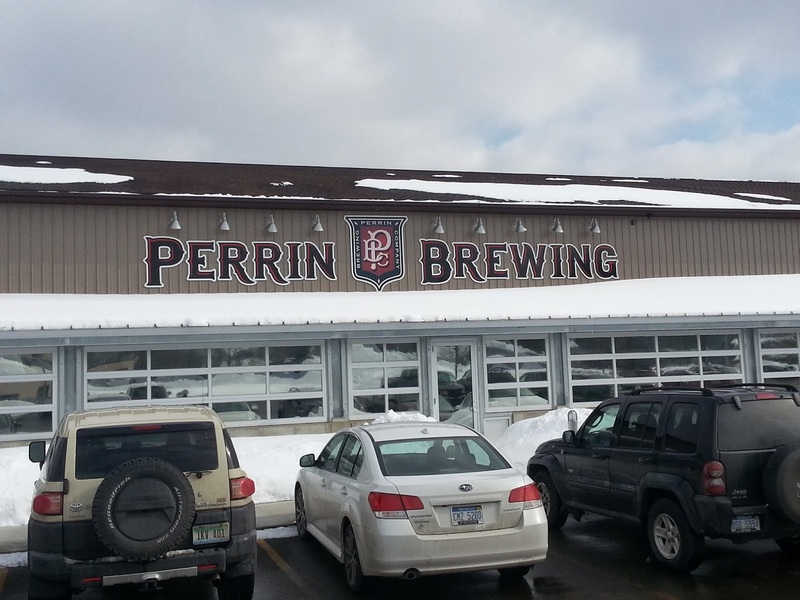 We woke Saturday morning and decided to do a western Michigan beer trip. We planned to go to Grand Rapids one night and Kalamazoo the next. 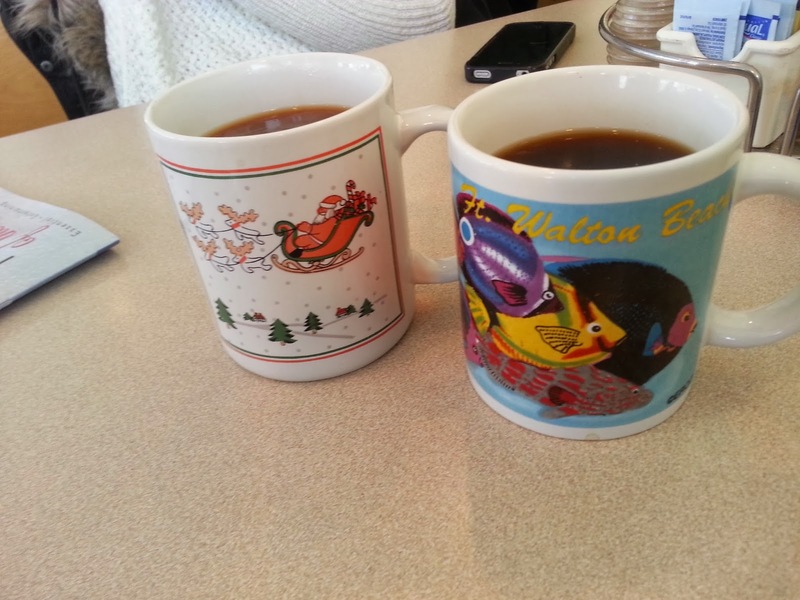 We went out to both last year, but went for one day and spent the night in Kalamazoo. 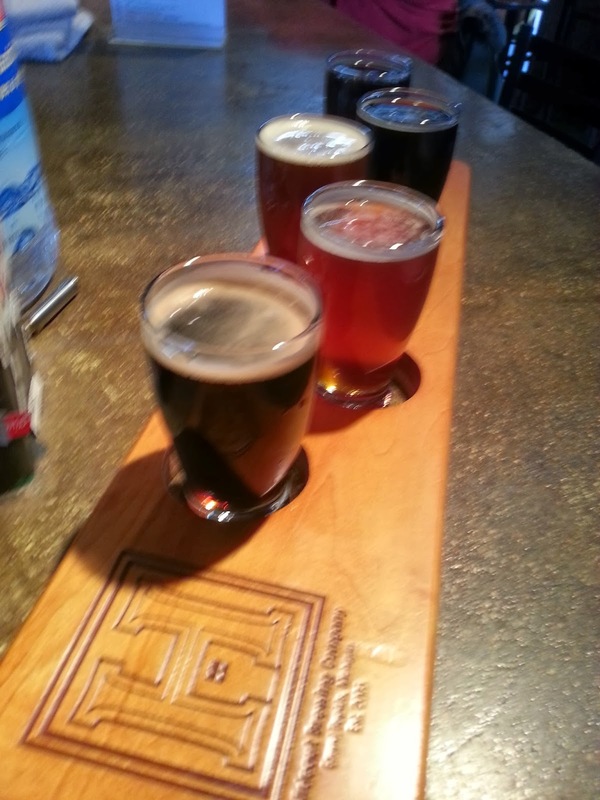 That was a pretty awesome trip because with got to visit both Founders Brewing and Bell's Brewing. 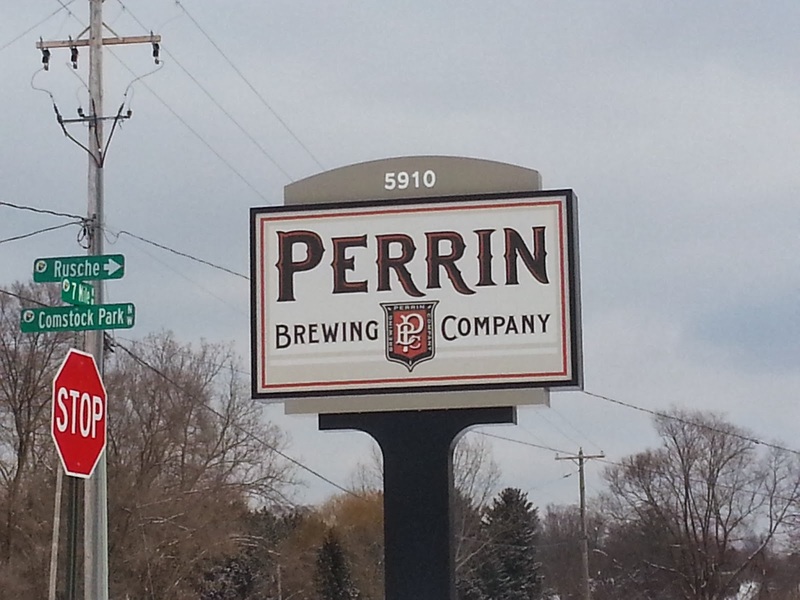 Probably the two most successful breweries in western Michigan. 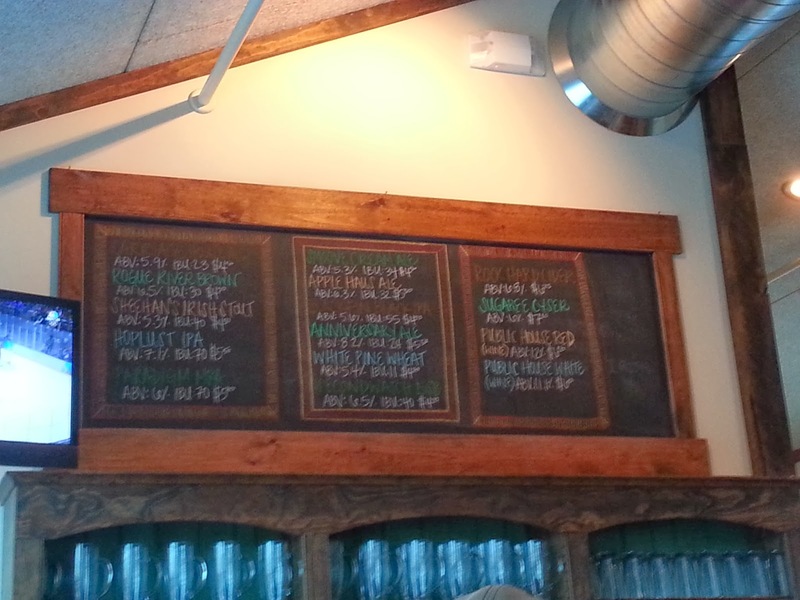 There are so many other great breweries around the area though. 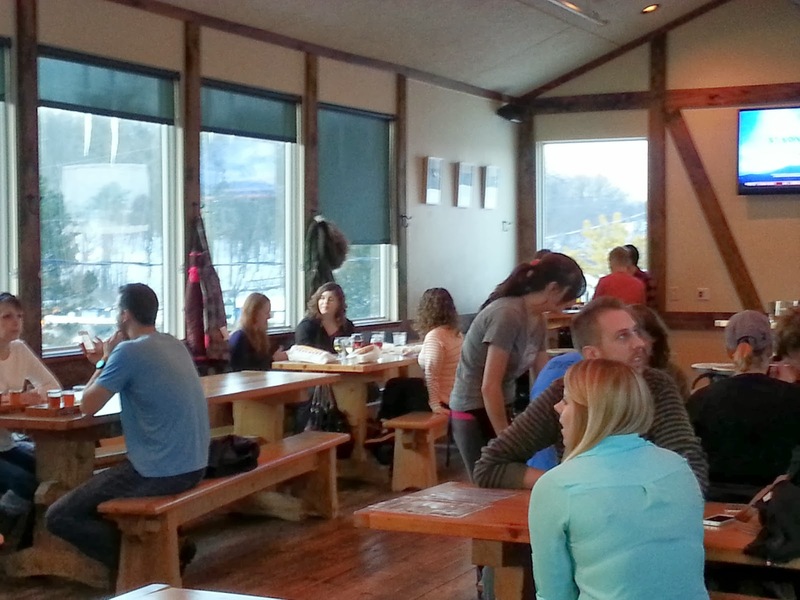 We wanted to spend time at the smaller spread about breweries. 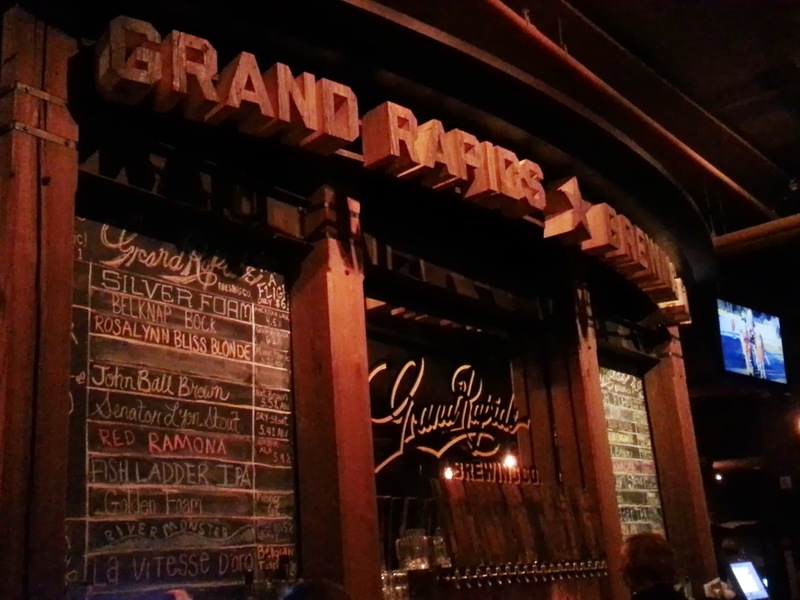 Grand Rapids has a higher quantity of breweries in its vicinity so we decided to head there for the night. We left a bit late around 1pm, because we both just kind of moped around for a bit in the morning. The drive was about a four and a half hours long and pretty boring. Patty thankfully didn't fall asleep and kept me company on the way in. 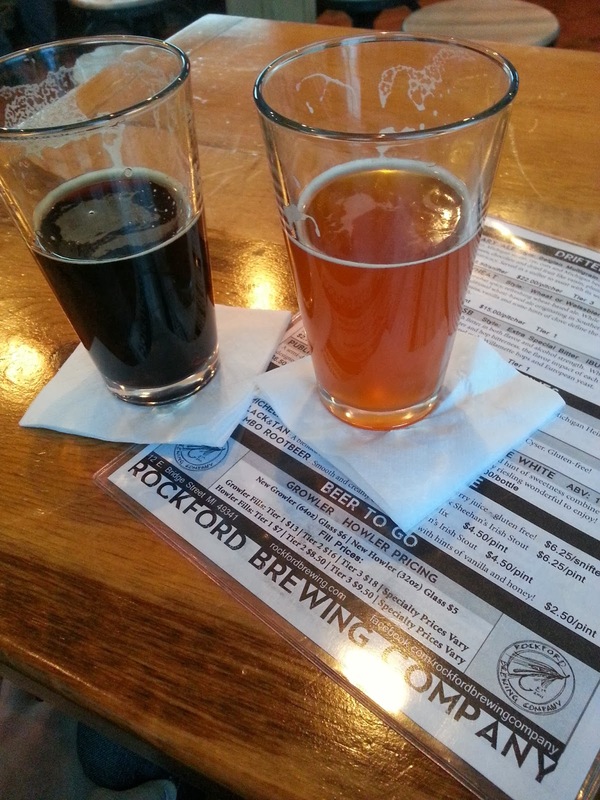 We bypassed the city and headed directly to a Rockford, Michigan to a place called Rockford Brewing Company. Blackfin Black IPA: Just ok. It was great to have that first sip of the weekend though. Hoplust IPA: Hoppy as hell, but very tasty. 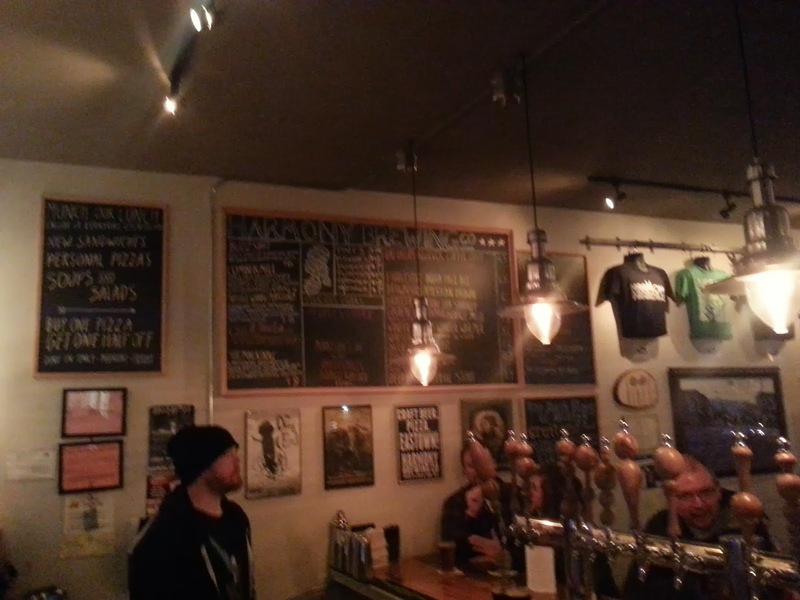 Good beer overall and a really cool layout of taproom. I give it a 3.5 out of 5. 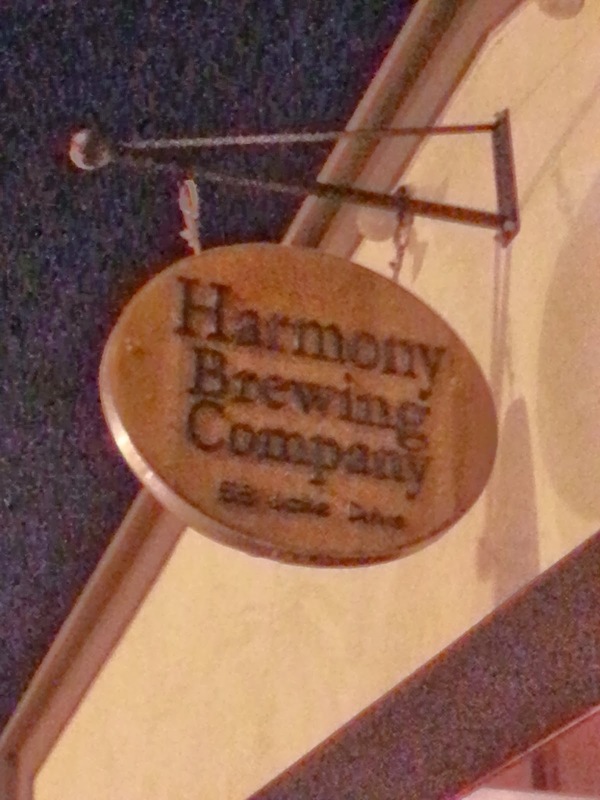 Next we headed into Grand Rapids and checked out a smaller brewery / pizza joint, Harmony Brewing Company. Pretty sweet layout inside this place. 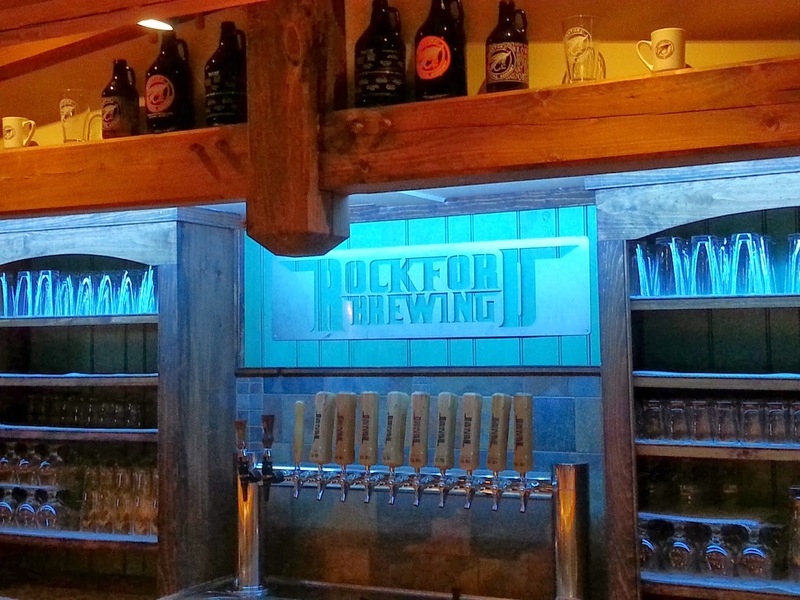 It had more of a feeling of being in a local dive bar than a nano brewery. 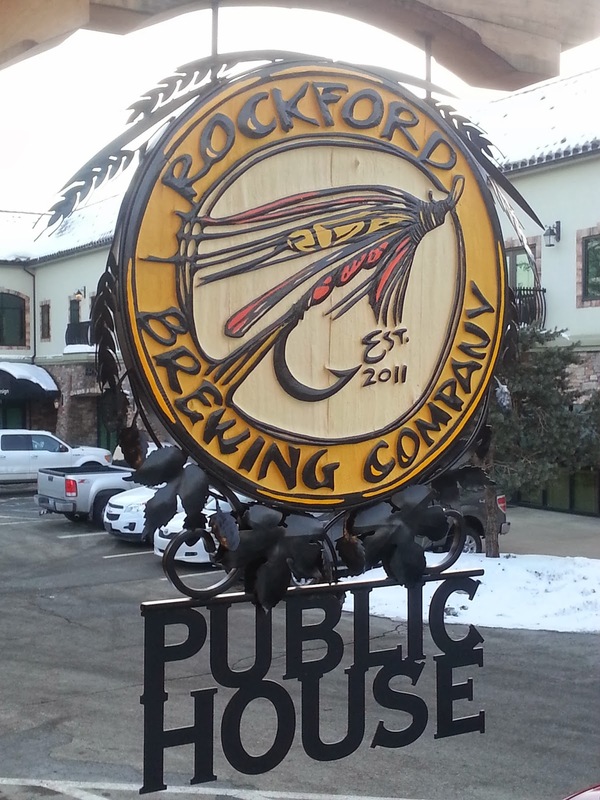 I wish we had not ate the breadsticks at Rockford Brewing because this place had some bangin' pizza that I saw coming out from the kitchen. We posted up alongside a small beer rest ledge on some bar stools, with a clean view of the wood-burning pizza oven in the kitchen. These guys were pumping out pizza after pizza and each look awesome. As Patty got settled, I headed up to the bar and ordered our two beers. Daydream Believer: 6.9% ABV and a nice clean stout. I was impressed that a small brewery like this had this good of a stout. 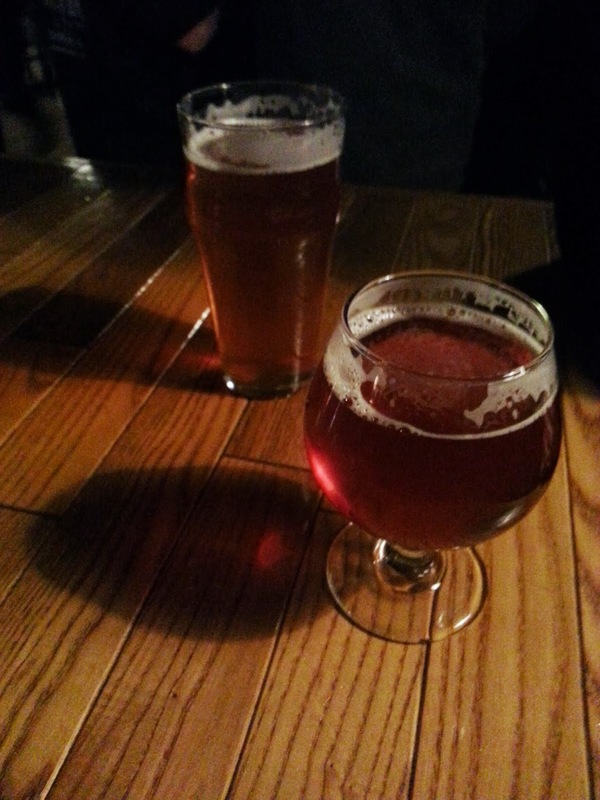 Fiddlestix IPA: 5.5% ABV and a pretty decent American IPA. I think this is their flagship beer, but I've had better IPAs. Not much else went on at Harmony and we decided to roll to the next place, because although nice and quaint and cool because it was smaller, there isn't much room that I noticed just for beer drinkers if you're not eating. The bar is right by the front door and those people waiting to be seated were taking up all of the stools. We headed out to get even closer to downtown Grand Rapids. 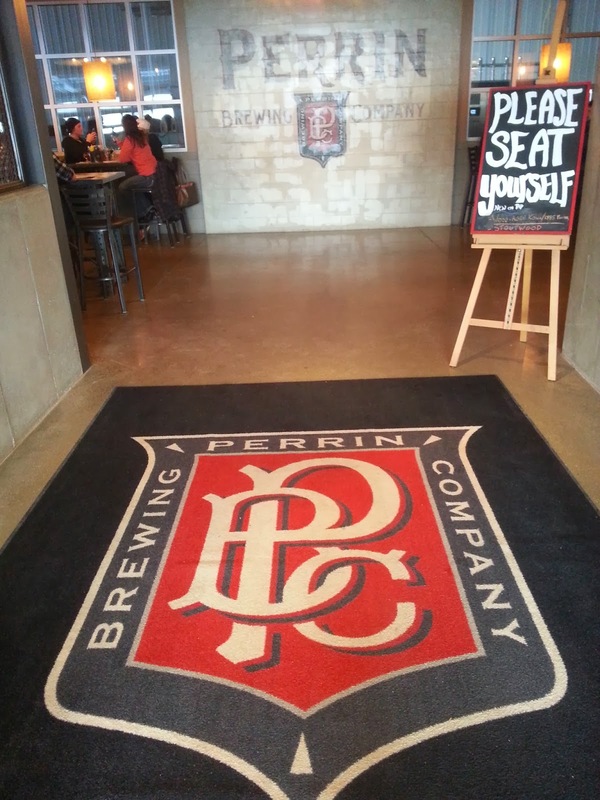 Decent beer, but don't go here if you're looking to just grab a couple drinks. This is definitely more of a restaurant. However, very cool layout throughout. I give it a 3 out of 5. Country Strong IPA: American IPA at 7.2%. Nothing too memorable from this beer. Just a standard IPA. Eigthy-Four DIPA: Imperial/Double IPA at 8.4%. The name of this beer sticks with the Detroit Tigers theme (1984 was the year of their last World Series championship). I thought this was a fantastic beer that had a perfect finish and great kick. I told the Perrin dude what I got and it seemed like he approved. Nice dude. 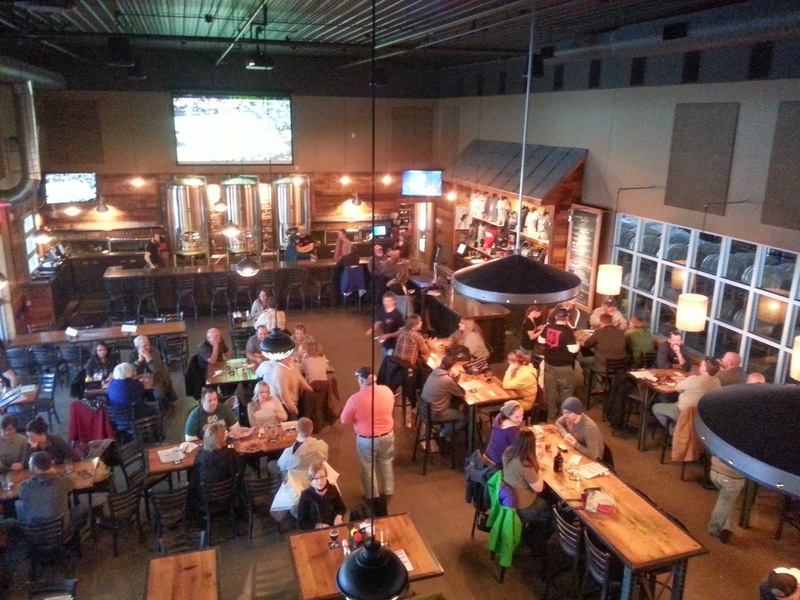 I get the feeling the other breweries in the area fully support each other and the great beer throughout Grand Rapids. I brought our beers over to the corner in the back of the bar at a high top table Patty was waiting at. We enjoyed, but nursed our beers a bit while watching the Olympics. Although, we were spacing our beers out since we got there, I still wanted to get to our hotel and check in, so we could walk the rest of the night and really let loose. 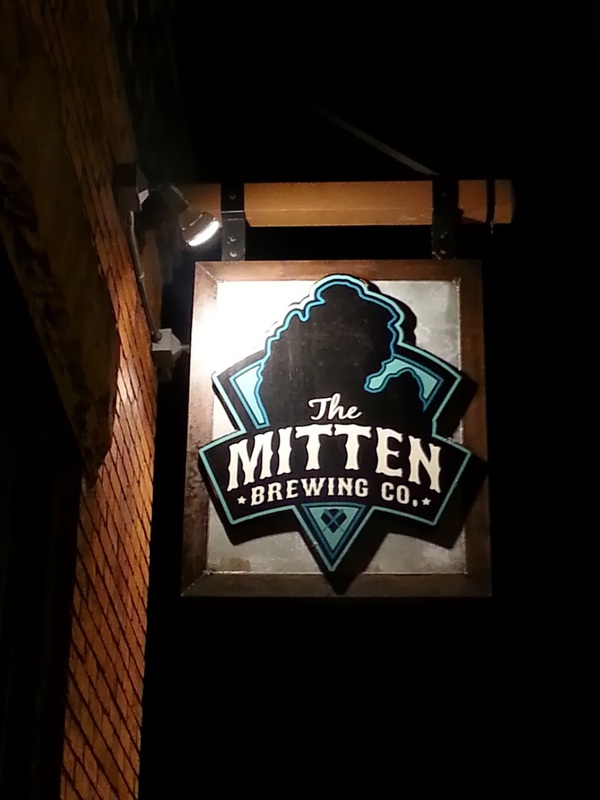 We took in the rest of the setting of Mitten, I grabbed a souvenir pint glass (because the logo is sweet here) and took off. 4 out of 5 for this place. We checked in at the Courtyard Marriott Downtown Grand Rapids and got situated. 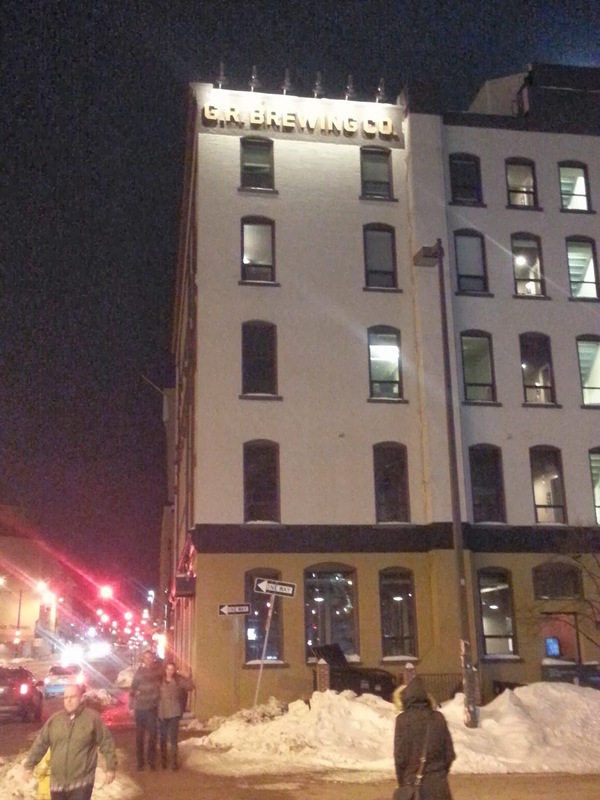 I suggest this hotel if you're staying in the heart of Grand Rapids because its centrally located and walkable from several breweries, great bars and restaurants. We headed right up the street for a 5 minute walk to our next brewery. When we walked into this place it was wall-to-wall people with terrible cover music blaring from a band in the back room. 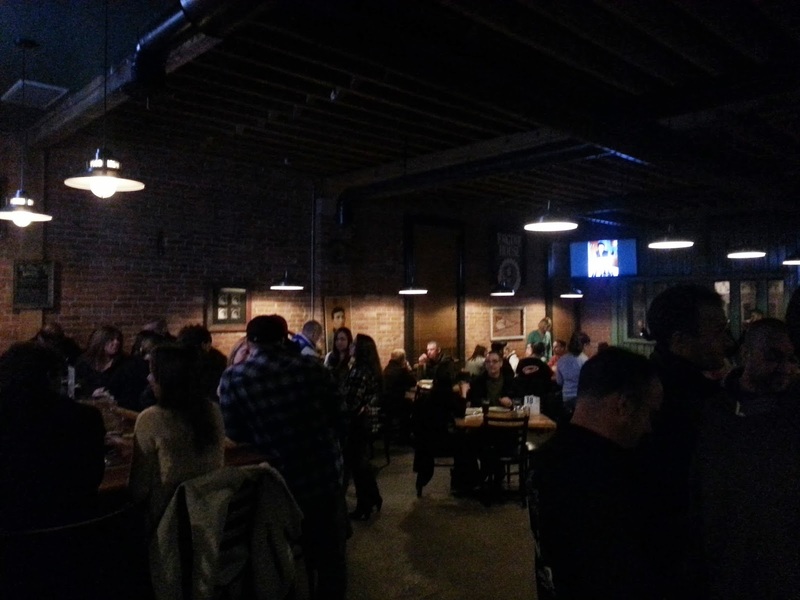 I immediately thought this place was a cookie-cutter, riding in on the success of other local breweries coattails, downtown bar. 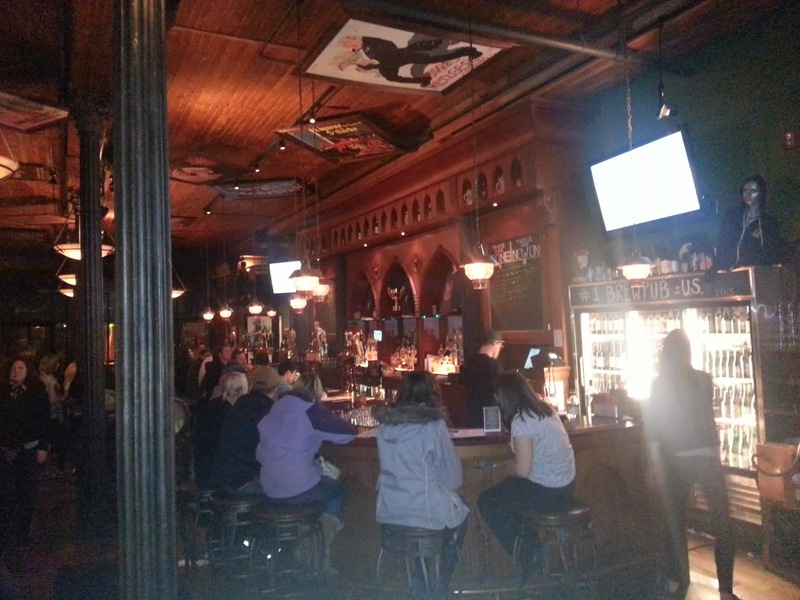 Its in a sweet looking old building and the bar was pretty huge a cool looking too. We lucked out and grabbed some bar seats. 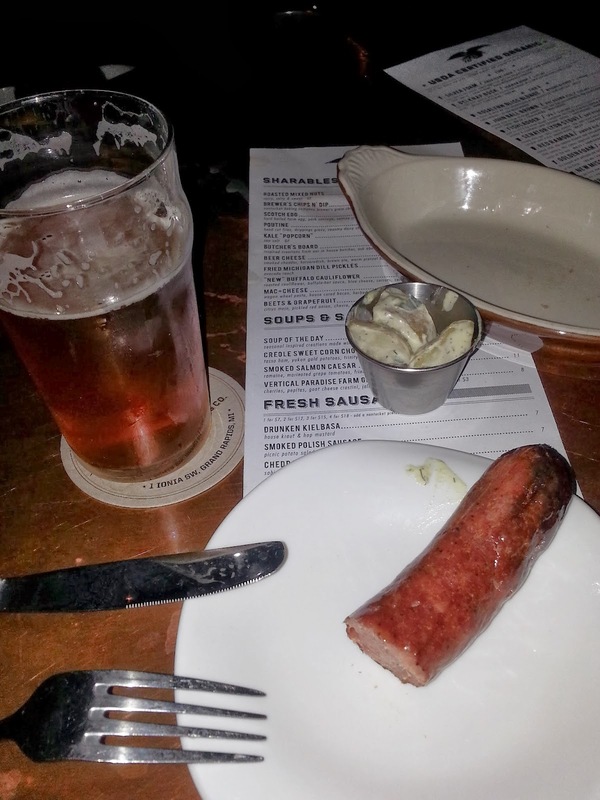 We took a look at the menu and grabbed a smoked Polish kielbasa to snack on because we hadn't had a real dinner. I was ready to start hitting my groove with these beers because I knew I did not have to drive anymore. The Fishladder: American IPA at 7.5%. This beer was gross. I'm not sure if it was the beer or the bad lines that the beer came through, but it had that dive bar, stale nasty taste. Awful. 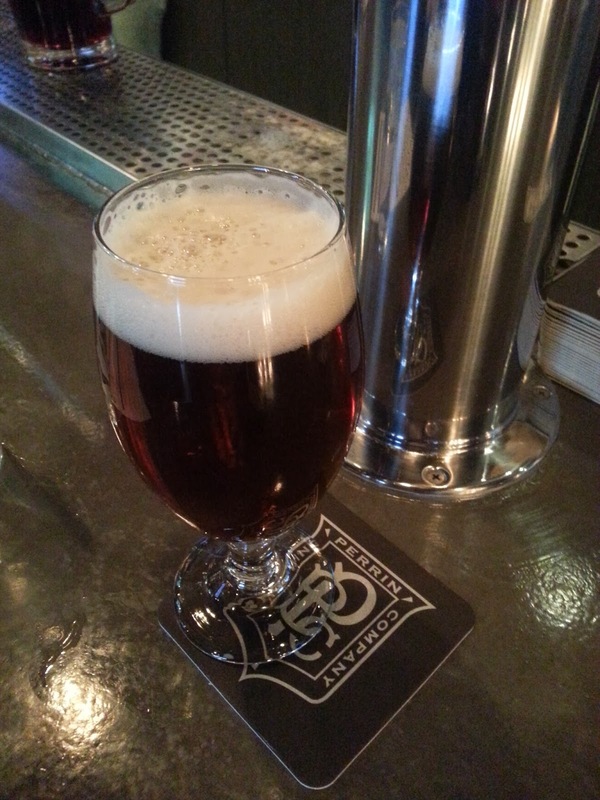 1826 IPA: English IPA at 6.2%. This was Patty's beer and I only had a few sips, but nothing even worth reviewing. We finished our beers while trying to not yell to much over the terrible music and had our sausage that was just ok and needed some yellow mustard that I grabbed from behind the bar. The bartenders were really nice here too and the bar itself was impressive. 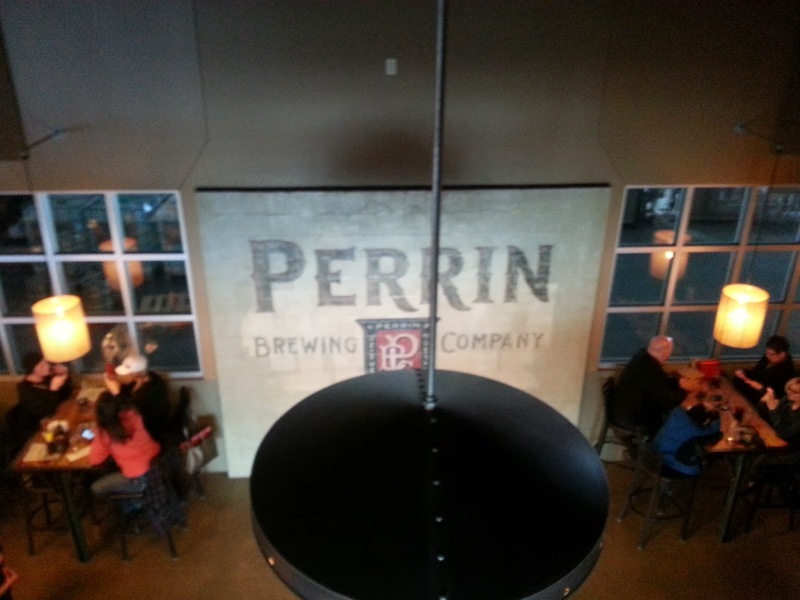 It had carved out letters of the name of the brewery which was really ornate and cool. We needed to get the hell out of this place because we couldn't take the downtown bar feel. 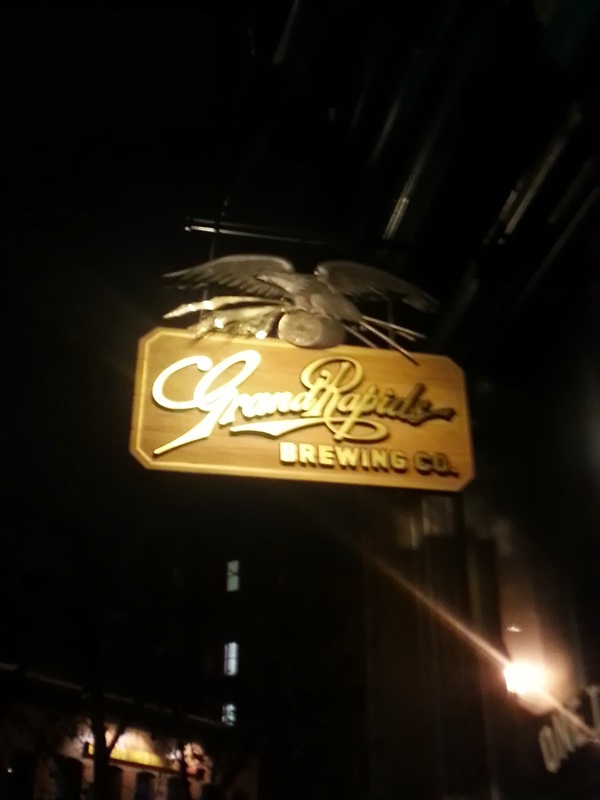 We walked out and headed to our main destination in Grand Rapids. 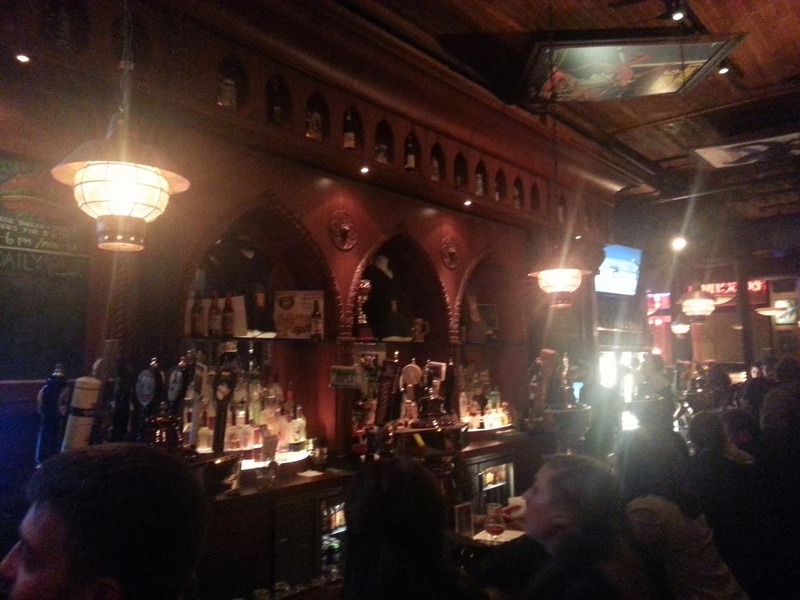 Ranked at 1.5 out of 5, mostly because the actual bar was sweet looking and our bar tender was friendly. 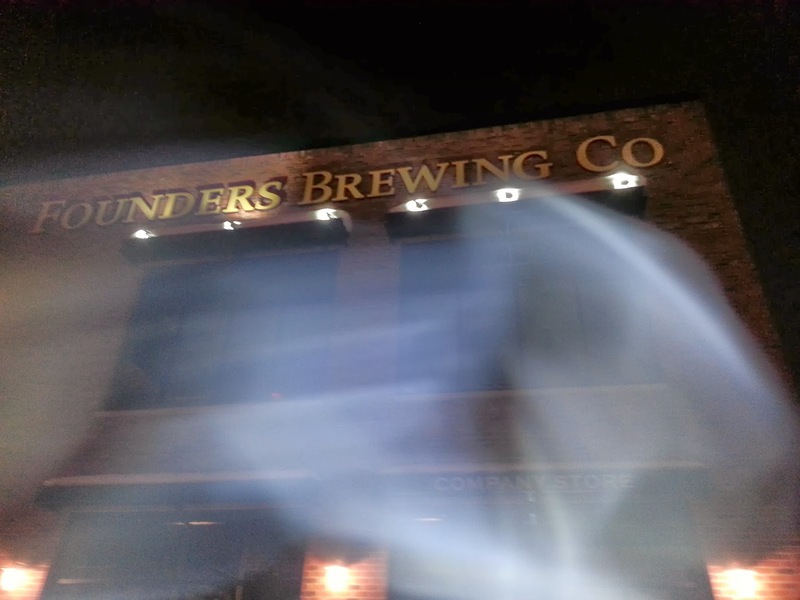 We got into Founders around 11-11:30ish. The place was packed, which I'm assuming it always is on a Saturday. They had a band going I had never heard of called Afro Zuma. 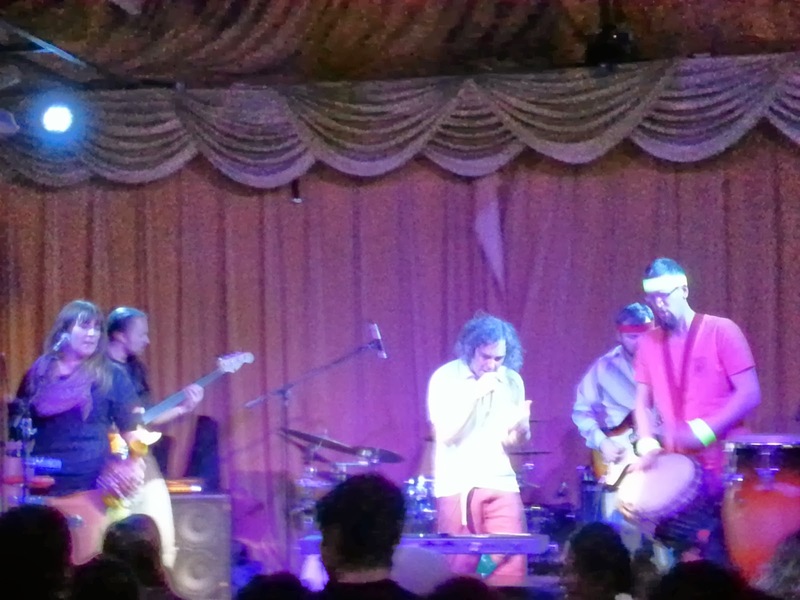 This was a complete jam band with hippies dancing full out in front of the stage. We got in line to grab beers at the end of the bar, which was about 10 people deep. I asked Patty to hold the spot in line and instead walked down to the middle of the bar to grab a few beers. I instantly got served, which was to my delight. We ordered some standard beers that are distributed in Cleveland because I didn't see anything that popped out that was Founders taproom-only. All Day IPA: A session IPA with low ABV% that I knew Patty could handle this late into the night. This is a great beer for drinking all day as the title explains. Red's Rye IPA: A rye IPA that is hoppy and bitter that I love. This is one of my favorite beers to pick up at my local beer spot and I was thrilled to get it on tap from the source. Afro Zuma is not really the type of music I'm into, but they were rocking out. It was a twelve piece band, with a horn section, percussion section, a female backup singer and one intense lead singer. This guy was in love with the music which the crowd fed off of. The hippies were shoeless and grooving with their eyes closed, getting hypnotized by the jam session. Pretty amusing and fun. Patty let me know we had one more place to get to though before last call though. I finished my beer and Patty had me finish the second half of hers because she was beered out at this point and we took off at around 1am and headed to our next destination. 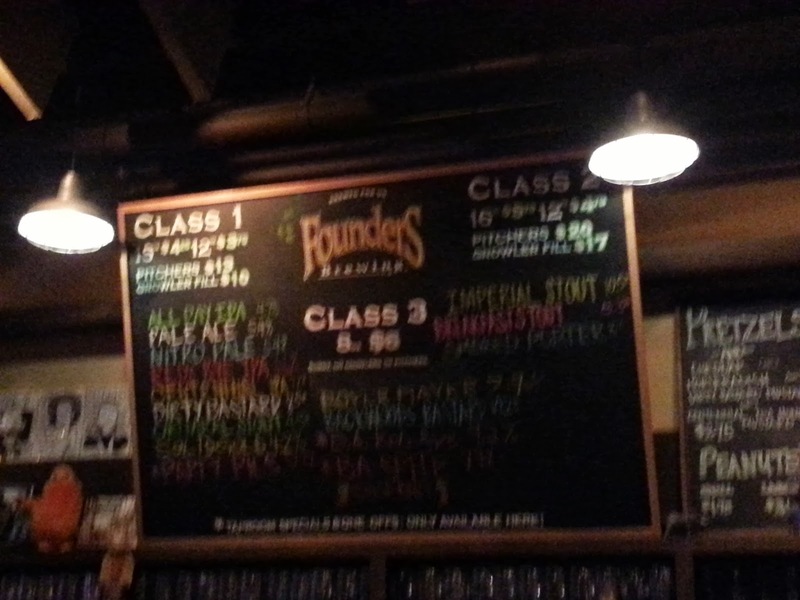 Founders always gets a 5 out of 5 in my book. 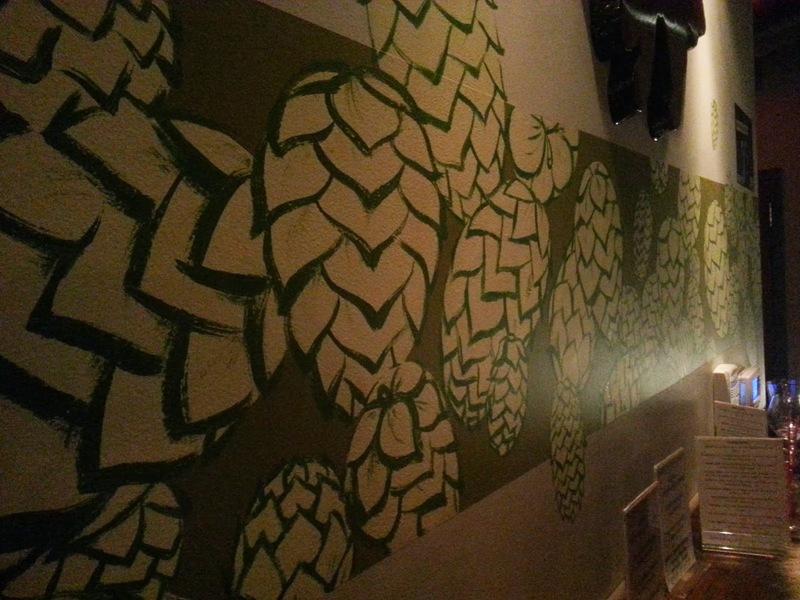 Hop Cat has one of the best beer selections in the city. Now, since this was pretty late I had to take it easy on what beer I got. We were also looking for some late night food which they had. 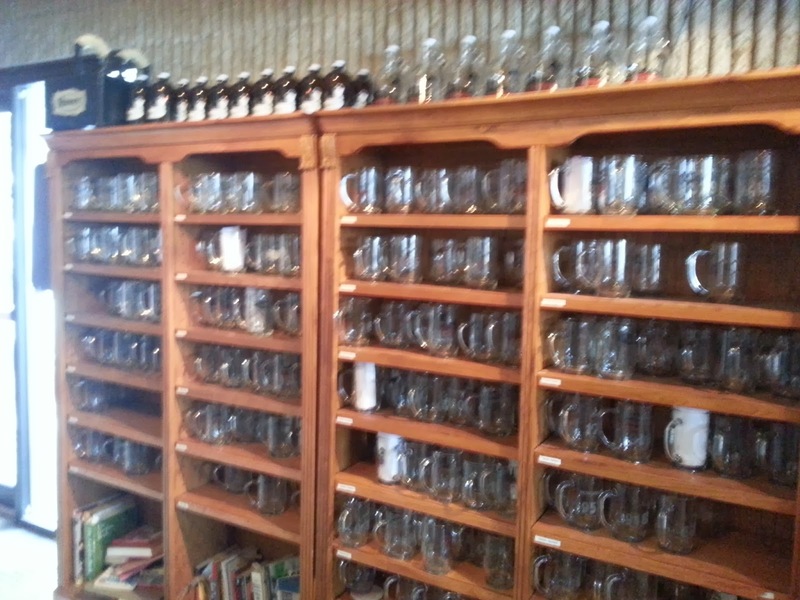 They have what appeared to be 50 tap handles, including their own beers along with other local selections. Very sweet layout here. Old school dark lacquered bar and tables throughout. 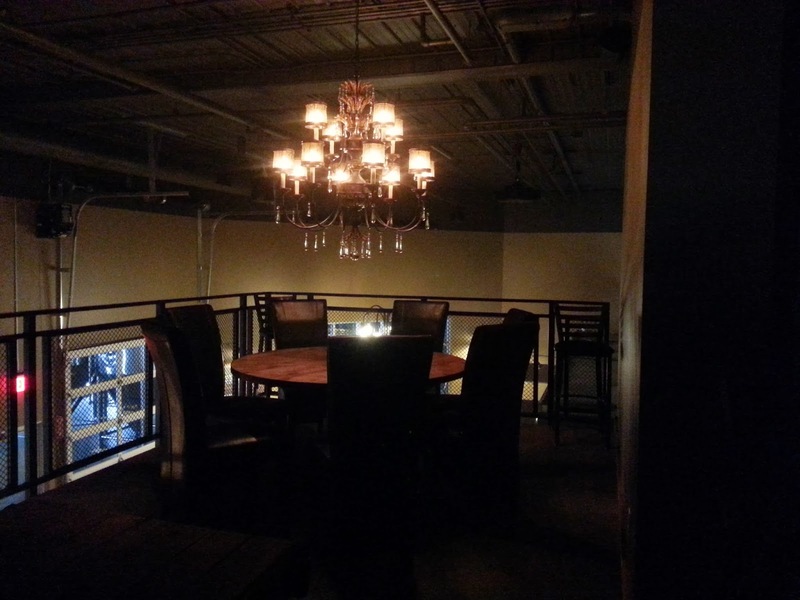 The bar was the focal point of this place and was huge. We ordered some late night tacos and wings and I got a beer, while Patty opted for a Pepsi because she was done for. Zugspitze: Hefeweizen that was insanely good and a great easing into the end of the night beer. It was so good I had two. We enjoyed our late night food and watched some Olympic curling and hockey. I was about spent for the night and we took it to the last call, so it was time to head back to the hotel. Its also the reason I have a short explanation of our time there because it was a bit fuzzy at this point. 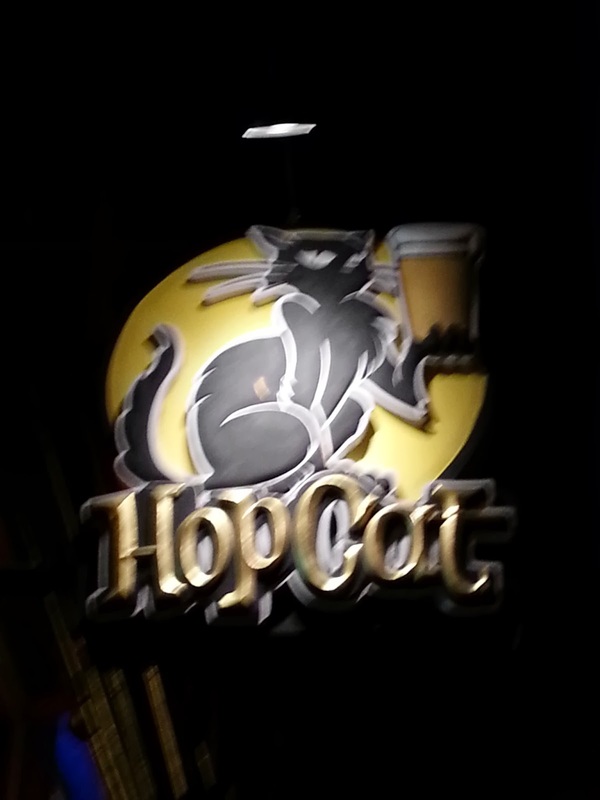 Hop Cat gets a 4.5 out of 5. We crashed hard and I woke up a bit dehydrated as you would imagine. 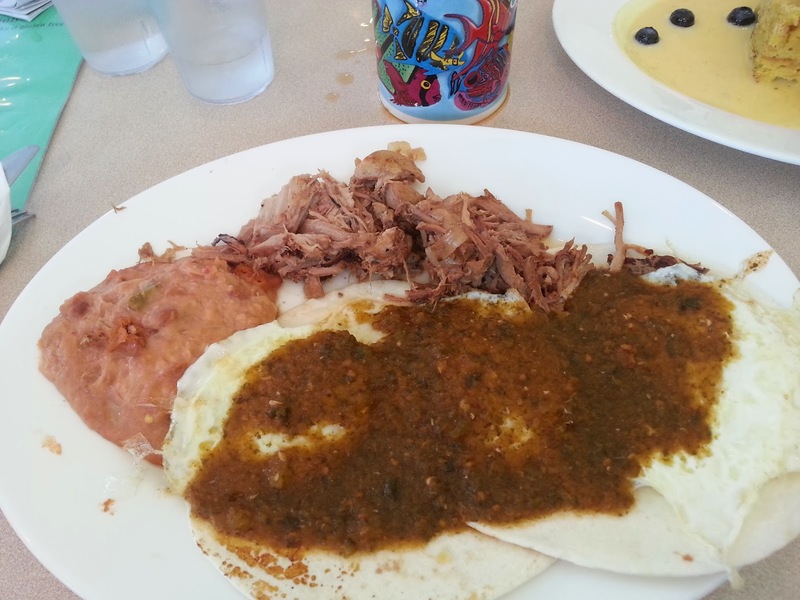 I decided we needed a nice hearty breakfast, so I Googled best breakfast spots in Grand Rapids. 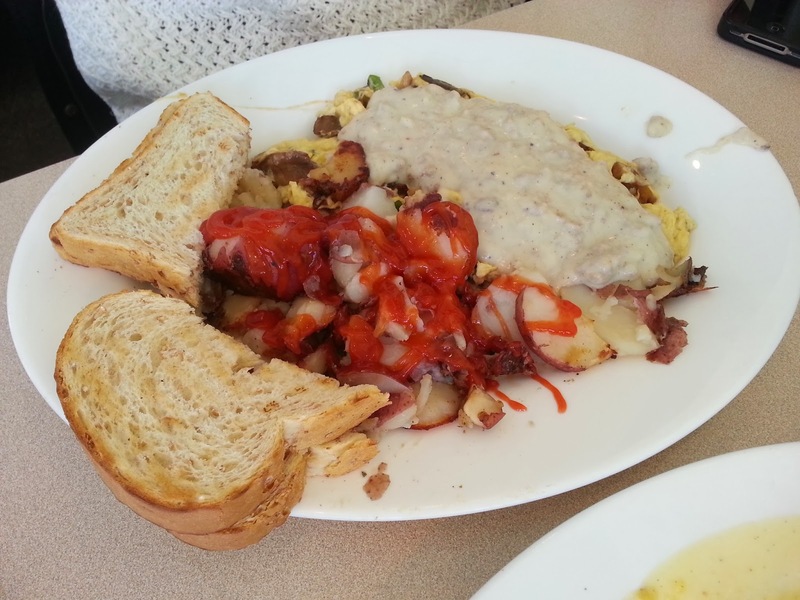 It just so happens a place that was voted best breakfast in Michigan on some 2013 poll was 12 minutes from our hotel. It was called Anna's Place. Besides from waiting a bit for our food, this place was awesome. 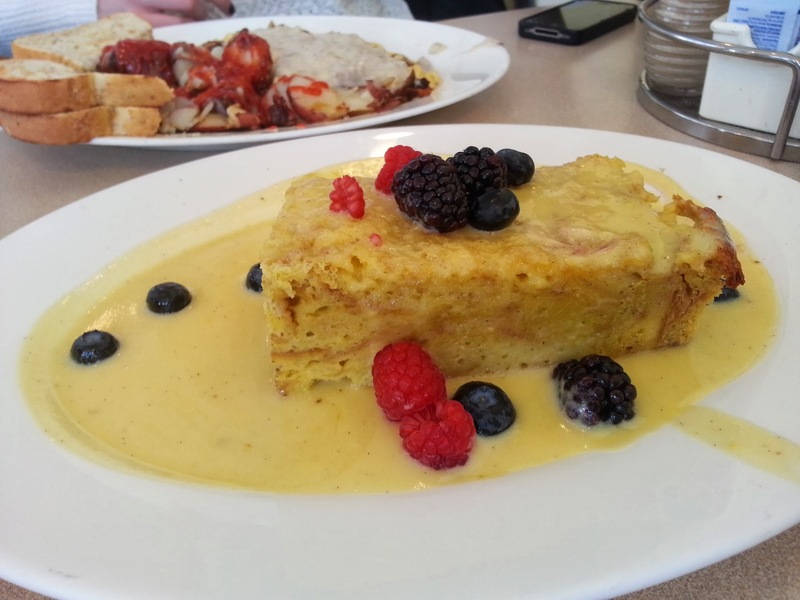 I got the Huevos Rancheros with Carnitas, Patty got the western scramble and we shared the crème brule french toast. This put us into an early coma, but we still had two more breweries to hit before we headed home and the first one was only 6 minutes up the road. This place was tucked away at the end of a drive that had a bunch of condos. We walked in and the name fits it perfectly. It was a Sunday afternoon lunch crowd so pretty low key. Our bartender was knowledgeable and looked like she was exhausted being the only bartender staffed. She was taking care of business though. 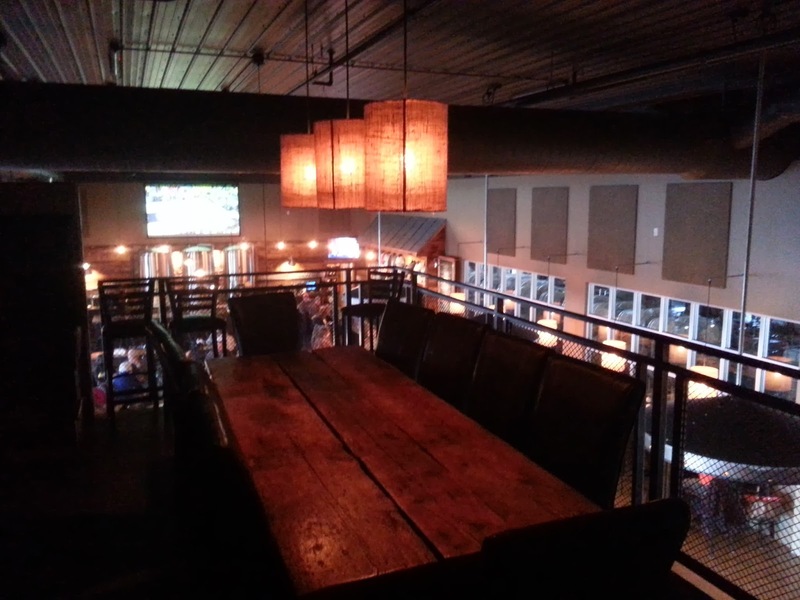 I walked around the bar a bit, which had an upstairs almost loft type area with a few TVs, dart board and every old school video game system you could think of which was sick. 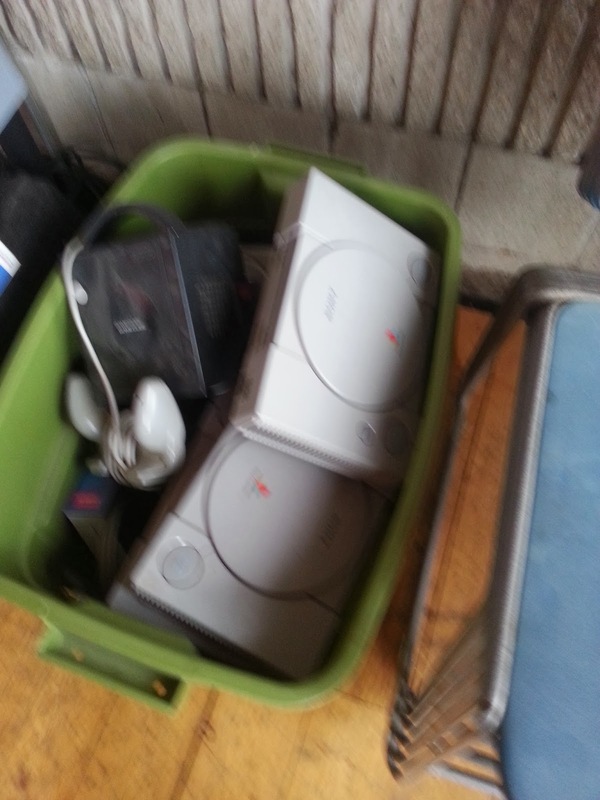 NES, Atari, Super NES, Playstation 1, N64, Gamecube along with games for each. 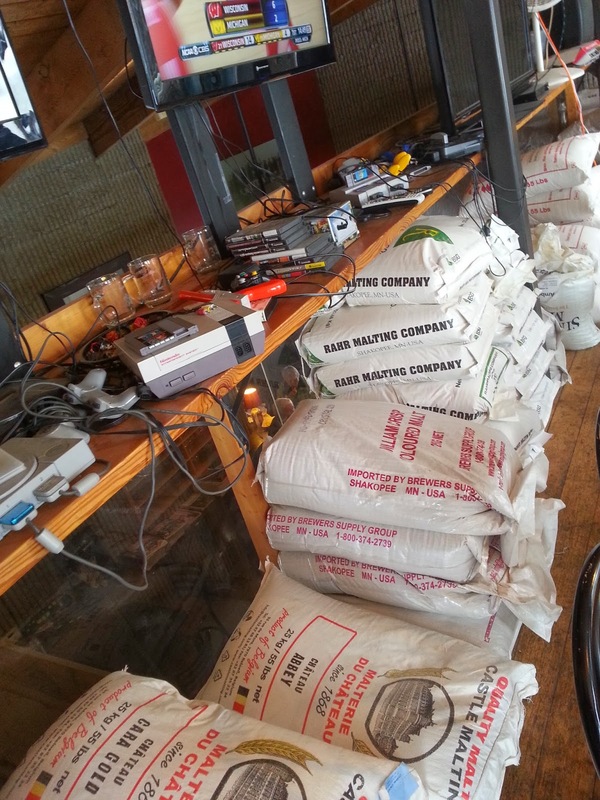 Pretty sick to play old school video games while drinking awesome beer. I didn't get to play though because some doofuses were watching the Michigan basketball game on the TVs. We ordered a flight here to try and maximize our visit. They had about 35 of their own beers on tap which was insane. I'll try to highlight our tasters the best I can. 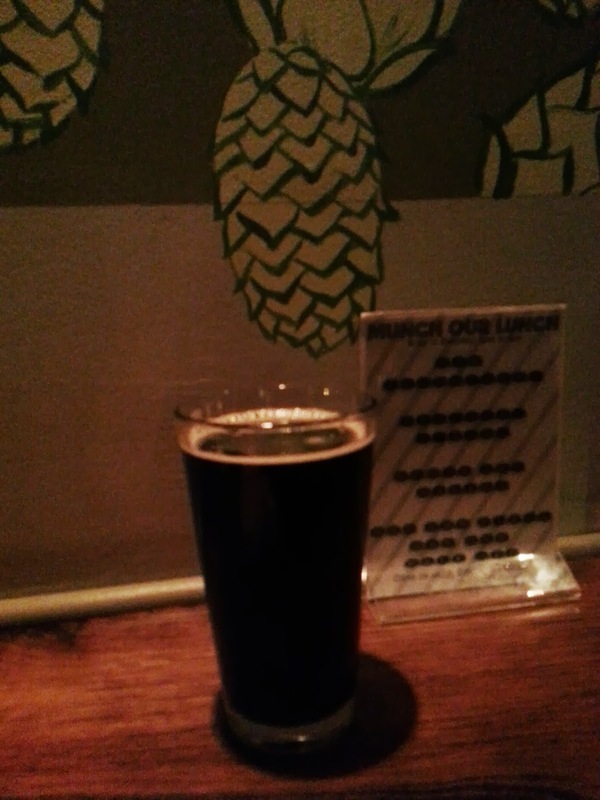 Smuggler's Hazelnut Stout: Simple, easy drinking stout at 5.6% ABV. The bartender told us this was one of their most popular. I thought it was pretty good. 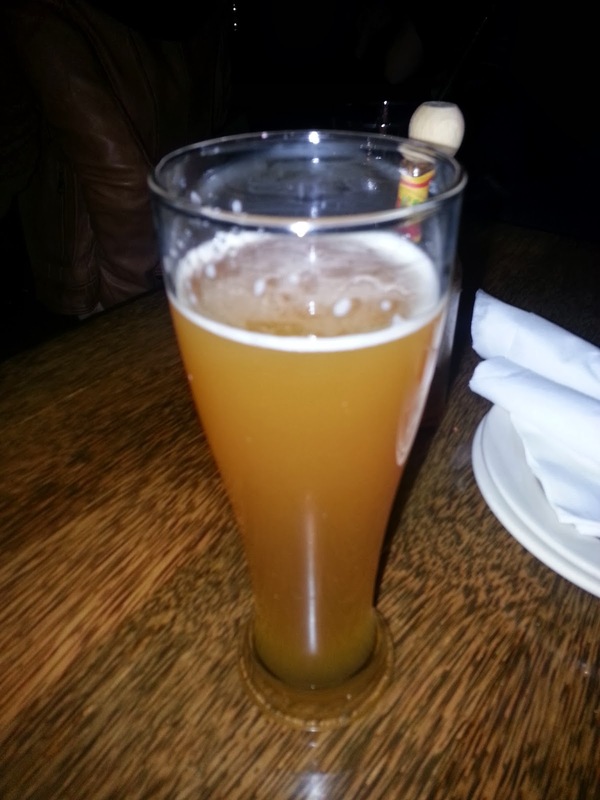 Grapefruit Rye Pale Ale: Pale ale at 6.5%. This was what the name says, very grapefruity with a rye taste. Sour Pale Ale: 6.5% ABV. One word: gross. Cinnamon Porter: 7% ABV. This was pretty decent and I love cinnamon, so this probably was my favorite of the flight. Belgian Quad: 13.2% ABV. This Belgian was super strong but delightful, probably my second favorite of the flight. We enjoyed our beers, which I made Patty drink most of because I had to drive 4.5 hours home later on. 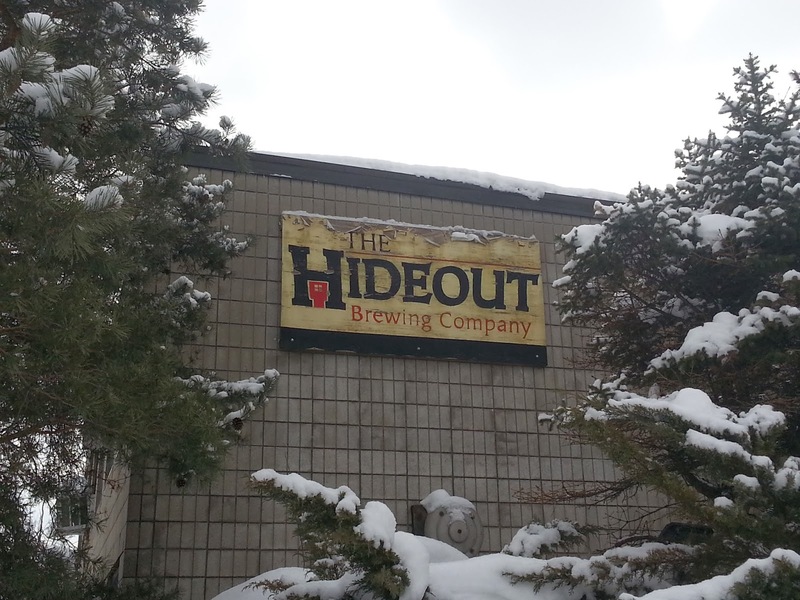 I asked to buy a small taster glass with the Hideout logo when we were leaving and the bartender was nice enough to say, don't worry about go ahead a just grab one. Nice gal. 3.5 out of 5 from me. 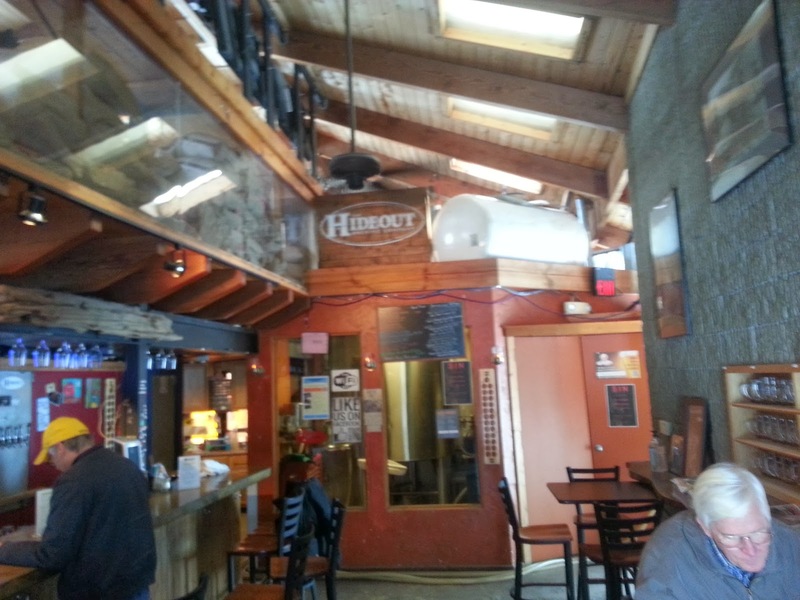 We headed over to the final brewery on the trip about 15 minutes away. Rye of the Liger: A rye beer with a bitter aftertaste. Very tasty. Nothing really that set it apart from the several other beers I had all weekend though. Grand Rapids, Michigan - What the locals call Beer City, U.S.A.
Mapped out: I would visit the breweries on the out-skirts of town first like I did and then pick a downtown centrally located hotel to walk to the ones in downtown so you don't need to drive all over the place after sampling all the great beer.